Just a few reminders and news updates. We are please to announce our Healing Conference with Anna Marie on June 28, 29 & 30, 2019 (Friday thru Sunday) at the LaGuardia Plaza Hotel (LaGuardiaPlazaHotel.com) a full service hotel that offers “free” shuttle service to/from the LaGuardia Airport, New York. Please click on the blue link to open and save your Announcement Packet (15-pages) for your review and discernment. Although New York is an expensive place to hold a conference, Jesus has assured Anna Marie that anyone who wants to attend can ask Him and Jesus will provide the necessary funds to attend. God bless you and hope to see you there! For questions or for more information, please email: info@greenscapular.org. We are excited to announce our second Healing Conference with Anna Marie in New York City, NY. Anna Marie held her first Healing Conference in July 2018 in Austin, Texas. Jesus must have known how successful it was, because He requested her to hold another in the Northeast. 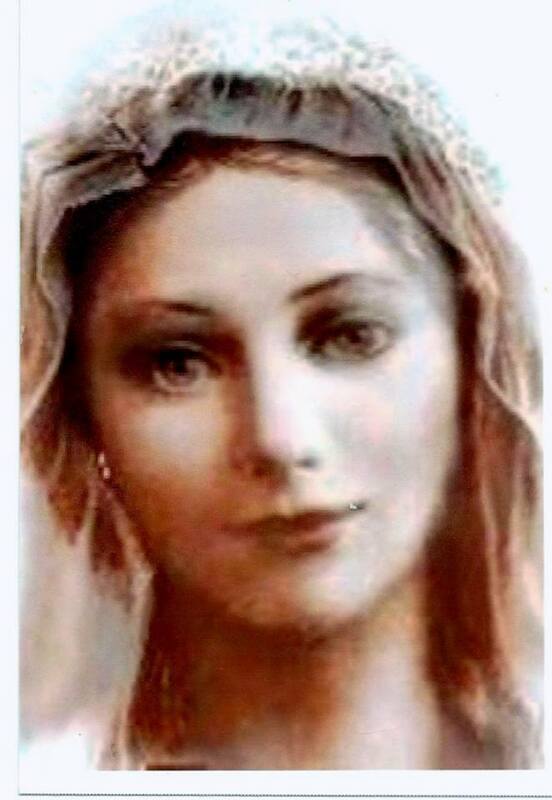 Jesus asked Anna Marie to listen to His Holy Mother who would tell her “where” in the Northeast. Mother Mary’s answer was in the New York area. We know this is a very expensive city to hold a conference, but Anna Marie wants to be obedient to Jesus. It will be an amazing healing event, covering a wide range of information that is not often presented at one time. Anna Marie will offer knowledge and training on spiritual issues that affect your personal life and the lives of your loved ones. She will also discern how she can personally help you heal, by praying over your Reservation Form and asking the Holy Spirit to reveal what needs to be healed in your life. She will share this information with you in a person meeting at the Healing Conference. Topics to be covered: Ancestral Healing, Inner Healing, Addiction Healing, Healing your home of cursed items, persons cursing you and your family members, ghosts haunting your home and trafficking witches invading your home. Anna Marie will hold several prayer sessions, after anointing you with holy oil. During these Inner Healing prayer sessions, you can expect Jesus to be present, pouring with His mercy and grace upon you. Finding the pain that you carry with you from past trauma’s and experiences in your life. After the prayer sessions, Anna Marie will ask Jesus to bestow His many heavenly gifts upon you. Jesus has given His children a new gift, a Spiritual Sword. Anna Marie has been given the assignment from Jesus to impart this holy gift to others, in accordance to His will. She will ask Jesus to place this holy gift from the Holy Spirit, into your own hand so that you will feel it being placed in the palm of your hand. 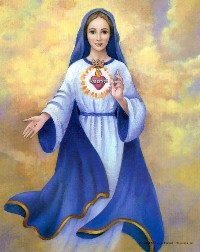 Everyone that attends will be consecrated on a blessed Green Scapular to Jesus Christ through the Immaculate Heart of Mary by Anna Marie. 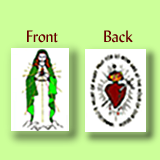 This will ensure that you receive the gifts of the Holy Spirit and charisms of the Green Scapular which are: Spiritual and Physical Healing. NOTE (by a soul): This is just a brief summary from the 15-page announcement. Please see the announcement for more details on the conference sessions and information on discounted lodging at the hotel (if you should need it). 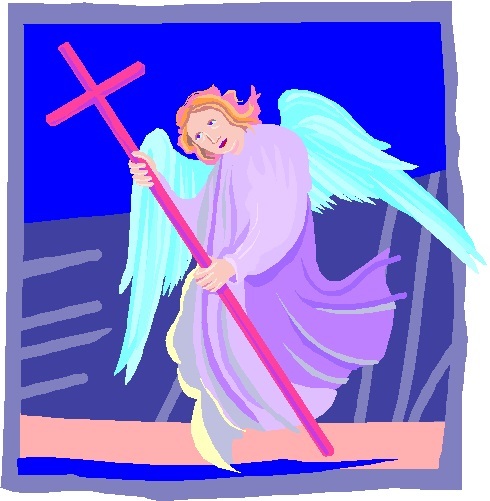 The angel then showed me, other people, outside of the circle, and they were all dressed in dark clothing. These people were expressing rage and anger towards those in the circle and wished harm and evil upon them. These are people from the media, reporters, government officials, those in high places and those who do not believe in Jesus. They will spy on and persecute and attack those in the circle. They will do anything to stop them believing in Jesus. “The knowledge My priest-son, Cardinal George Pell possessed of financial wrongdoing and sexual misbehaviour which he desired to correct for the good of the Church and for the sake of Truth was the reason the power of darkness overshadowed him with false accusations. I desire the world to know of his innocence and I desire the man of sin who brought this about to be aware that his iniquity will be shown up in the light of God’s Justice. I held My mantle over my dear priest-son and My Heart wept at what has been brought upon him in the endurance of this terrible injustice and deception”. In Colombia it was the most viewed Catholic film ever. In Puerto Rico, the average viewer per one million inhabitants was close to 3,000 persons. We thank God for all of this. But we know that the merit has not been ours. 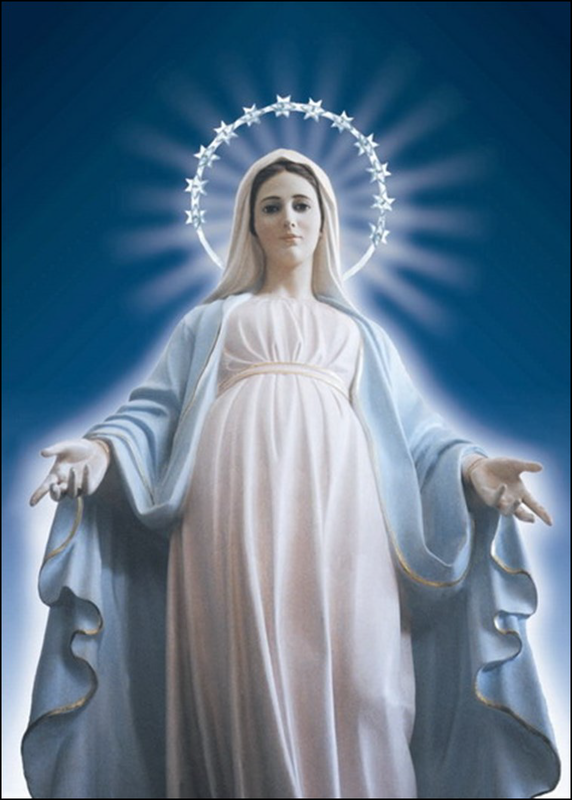 The lure, the magnet is Her, Our Blessed Mother. The attraction involves the events that occurred in San Sebastián de Garabandal 50 years ago and its two public messages, and to a lesser degree the manifestation of extraordinary signs witnessed at Garabandal by thousands of witnesses. The messages pointed to the heart of the great crisis that the Church is presently undergoing: “Many cardinals, many bishops and many priests are on the road to perdition and taking many souls with them.” But at we start Lent this week, Garabandal Only God Knows brings very precise advice to lead us to conversion and salvation. 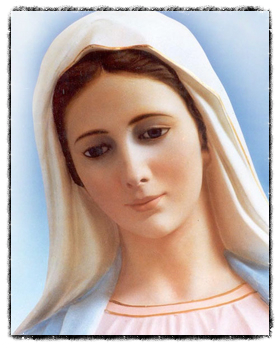 May Our Blessed Mother bless you. On Friday, February 22, 2019, God the Father asked for all people to ask the Most Holy Trinity to allow a JERICHO PRAYER MARCH. That is, for the angels, saints and souls in Purgatory, spiritually, to march seven (7) times each day, for seven (7) days around the White House, New York and the entire earth. This Jericho Prayer March was requested on Friday, February 22, 2019 and to continue to Friday, March 1, 2019. On Monday, February 25, 2019, by a vote of 53-44, the United States Senate failed to pass the Born-Alive Abortion Survivors Protection Act, which would have required doctors to provide medical care to infants born alive after an attempted abortion procedure. Today, after the failure of the Senate bill allowing protection for the infants born alive after abortion, the Holy Family messenger pleaded with the LORD. The answer he was given: to have people add to the original prayer request, that the Jericho Prayer March be extended to have the angels, saints and souls in purgatory march around every abortion clinic in the nation and the world. And that the Jericho Prayer March be allowed to continue past the original prayer march date of 7 days and, GOD willing, until evil is destroyed on earth. We need more prayer warriors storming Heaven that the Jericho Prayer March be allowed and extended to cover the world, and particularly around every abortion clinic in the United States and in the world. Please give this message to all you know and plead for prayers that the Most Holy Trinity allow the Jericho Prayer March to proceed around the world and to also include every abortion center in the United States and the world, so that the walls of evil may come crashing down. The messages below were given to a Canadian woman (referred to as Oasis of Peace messages) as Confirmations for the Holy Family Refuge 2/22/19 Message from God the Father requesting Jericho Prayer Walk. 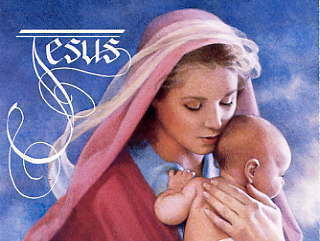 Jesus: Little Child of My Sacred Heart peace be with you. –around the sick in the world and around all the dying in the world; around all the elderly and abandoned in the world. –around all your faithful prayer warriors. Amen. Pray 4 Rosaries each day for this blessing. Amen. The Eternal Father: Remember the Tower of Babel (Genesis 11) where the people were so full of pride that they tried to build a tower to the Heavens? I, The Eternal Father, The Creator, confounded them by making all of them speak other languages so that they could not communicate with each other, and could not build this sinful project. So, it shall be even now. Amen. Amen. Amen. 5 The Lord came down to see the city and the tower that the people had built. 6 Then the Lord said: If now, while they are one people and all have the same language, they have started to do this, nothing they presume to do will be out of their reach. 7 Come, let us go down and there confuse their language, so that no one will understand the speech of another. 8 So the Lord scattered them from there over all the earth, and they stopped building the city. 9 That is why it was called Babel, [d] because there the Lord confused the speech of all the world. 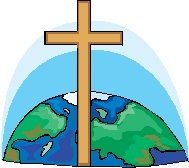 From there the Lord scattered them over all the earth. 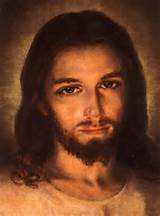 Jesus: Little Child of My Sacred Heart who I love so much, peace be with you. My daughter, in answer to your question, yes there is hope of saving the world from the Wall of Jericho falling on it IF all those who have heard My message do indeed ask The Blessed Trinity, Blessed Mother, the Angels, the Saints, and the Souls in Purgatory to do the Jericho Prayer Walk around the World and all the places that I mentioned yesterday. Do not say “its okay, I pray every day.” This is not enough My dear children. Heaven needs you to ASK us to do this Jericho Prayer Walk as we need your permission. We cannot interfere in Free Will. Amen. Take this warning seriously My dear children. The battle being waged above you is furious – bigger than any in the history of mankind. If not enough people invoke Heaven and pray hard, the Spiritual Battle will change from spiritual to physical and there will be terrible bloodshed and suffering. Trust in your Jesus. Remain obedient. Do your part. We are counting on you – on ALL of you. Amen. Amen. Amen. Go now to love and serve the Lord and each other. Amen. Pray that all of Heaven will do the Jericho Prayer Walk around the world, around the Vatican, around Jerusalem, around the U.S. and its 50 states, and Puerto Rico, and the White House; around Canada and its 10 Provinces and around Ottawa; around all the Refuges in the world; around each of your children, and around every Priest, Bishop, Cardinal, Pope, and Deacons; around all your relatives and friends; around all those going to the Refuges; around all believers in the world; around all world leaders; around North America, South America, Central America, Europe, Asia, Africa, Australia, New Zealand, every island in the world; around your Oasis of Peace, and around all your workers houses. Amen. Pray this Prayer to give permission for Heaven to do this Jericho Prayer Walk, and pray Rosaries and other prayers. Amen. Thank you for sending the message about the Jericho Prayer Walk around the World. It is real – the Spiritual Battle is happening above the earth. Continue to Pray, Pray, Pray. Go now to love and serve the Lord and each other. Amen. Abba Father states that we are in a major battle in the Heavens above the earth between good and evil RIGHT NOW and if we do not win this battle, we will go into physical battle on earth, where many will be killed. GOD THE FATHER, ABBA, asks the free will of the people receiving this message, to ask all of the Heavens – the Most Holy Trinity, all the saints, all the angels and all the souls in Purgatory – for the people to ask that the Most Holy Trinity allow all of the Heavens to do the Jericho Prayer March. Pray your regular prayers, but ask: All the Heavens to do the Jericho Prayer March for 7 times each day, times 7 days, beginning today, Friday, February 22, 2019, Feast of the Chair of St. Peter, around the White House, New York and the entire earth. Please pray daily for this intention, and forward to as many as possible. Now Jericho was close shut up and fenced, for fear of the children of Israel, and no man durst go out or come in. …  And the Lord said to Josue: Behold I have given into thy hands Jericho, and the king thereof, and all the valiant men. …  Go round about the city, all ye fighting men, once a day: so shall ye do for six days. ..  And on the seventh day the priests shall take the seven trumpets, which are used in the jubilee, and shall go before the ark of the covenant: and you shall go about the city seven times, and the priests shall sound the trumpets. …  And when the voice of the trumpet shall give a longer and broken tune, and shall sound in your ears, all the people shall shout together with a very great shout, and the walls of the city shall fall to the ground, and they shall enter in every one at the place against which they shall stand. …  Then Josue the son of Nun called the priests, and said to them: Take the ark of the covenant: and let seven other priests take the seven trumpets of the jubilee, and march before the ark of the Lord. …  And he said to the people: Go, and compass the city, armed, marching before the ark of the Lord. … And when Josue had ended his words, and the seven priests blew the seven trumpets before the ark of the covenant of the Lord, …  And all the armed men went before, the rest of the common people followed the ark, and the sound of the trumpets was heard on all sides. …  But Josue had commanded the people, saying: You shall not shout, nor shall your voice be heard, nor any word go out of your mouth: until the day come wherein I shall say to you: Cry, and shout. …  So the ark of the Lord went about the city once a day, and returning into the camp, abode there. …  And Josue rising before day, the priests took the ark of the Lord, …  And seven of them seven trumpets, which are used in the jubilee: and they went before the ark of the Lord walking and sounding the trumpets: and the armed men went before them, and the rest of the common people followed the ark, and they blew the trumpets. …  And they went round about the city the second day once, and returned into the camp. So they did six days. …  But the seventh day, rising up early, they went about the city, as it was ordered, seven times. I would now like to talk to you about religions. People worship in My churches and claim their form of worship is the truest. Woe to those who disclaim a form of prayer to My Father! When the Jews pray to My Father, they pray to Me, for I am One with the Father. The Jews are very much My people. If you were Protestant, would you love Me less? It should be known to all My children that I do not love them less because of the semantics of the dichotomy of religion. I am your Lord God, and I hear all forms of prayer. It is not your form of worship, but your heart that I want. Whether you are Jew or Gentile, you are because of Me, Who Am! I, your Lord God, love all who come to Me to be loved! I love in all forms of worship and prayer. It is true that I, through My Body in Eucharist, am in the purest form of consecration to you. However, that is a choice My children have. Many people will say that because of your religion, you think you are closer to Me. It is not because of your religion, My child; it is because of your open, loving heart. How do you serve God? By serving His people! Serve by loving one another. Have mercy on one another, so that I will have mercy on you. Be My treasure in Heaven by being My treasure on earth. Love will restore My beauty given to this world! How many different ways can I express this message to you? My people want, want, want; but they need to give to receive! My child, know that I love My people of all religions, but it is through My Blood of the wine and My Body of the bread that I live One with you. “Tell this priest, tell everyone, that it is you who are divided on earth. The Muslims and the Orthodox, for the same reason as Catholics, are equal before my Son and me. You are all my children. Certainly, all religions are not equal, but all men are equal before God, as St. Paul says. It does not suffice to belong to the Catholic Church to be saved, but it is necessary to respect the commandments of God in following one’s conscience. My dear beloved one of Mercy, how it grieves Me to see how My people show their love and mercy. They neglect their children, beating them—yes, beating—child, and denying them growth in love! They verbally and physically batter, not only the young, but the old. Is this mercy? How, child, would you have Me have Mercy on them, if they cannot have mercy on the young and the old? I have been teaching My people throughout the ages the importance of their salvation through love and mercy, and their deeds speak of their thoughts on My teachings! I give the gift of Love, and they take it upon themselves to destroy all dignity of life. What possesses My people to take their anger and aggressions out on the meek, weak and little, grieves My Heart. It tears and bleeds for them. These same people, who are to be called “children of God,” strip all hope of salvation by their evil deeds. They cannot be called “children of God,” for to be a child of God, you must love as children, not endanger them! You must be childlike and as pure as children. Never, ever have I said to discipline a child you must beat him! Never, ever have I praised malicious acts of sexual abuse! Discipline is achieved with love, and love only. Correction is accomplished only through love. Physical love, which joins man and woman together in sacramental marriage, comes from pure love, and should continue and never be expressed in the form of molestation of the young or sexual abuse of children. My child, how it grieves Me that these are My people who have allowed such degrading evil to possess them! They have no sense of dignity, and do not even know the value of dignity! These are the people who need to learn what pure love is. These are My people who need to forgive and love themselves! These people are not walking on rope, but are walking on string! These are people I wish to come home to Me, so that I can restore their dignity and goodness. Abuse is sacrilegious! Verbal, mental and physical abuse of the young, the old and the children are horrifying in the Eyes of God. My Father abhors those who do not love; for those who do not walk in love, walk in darkness and death. Make this known, child. Every person who abuses and batters anyone, elderly or young, shall pay the price marked in the Eyes of My Father until every cent worth of abuse is exchanged into the equivalence of Love—not in the eyes of man, but in the Eyes of My Father! Take heed, My people, for it is by your will that you walk such treacherous turf! If you wish to be My people, you will heed My words. Stop, or there will be no stopping the consequences in My Father’s actions in defense of the innocent! Remember, Love is sacred, for I am Love! My dear little children, praised be Jesus! I love you, little ones, and it is my desire that you be happy. Pray to God the Father with all of your heart. Pray for the children of the world. There are many children who are abused and mistreated. Their spirit of love is being hindered from neglect of adults. Evil influence is preventing them to grow in the Love of God. Preserve their innocence and childlike ways by nurturing their spirit with a sound foundation of love and prayer. Teach your little children to avoid violence and to seek protection from their angels. It is the children who can save the world through their littleness, innocence, simplicity and childlike ways. Children need to be children. There are too many restrictions against the law of love which are preventing their growth in purity, prayer and free-spiritedness. My little ones need tremendous love and acceptance. Their dignity and self-esteem are being threatened. If you knew how much I love you, little children, you would rejoice in the Joy of God and respond to my plea. I bless you in the Name of the Infant Jesus. Thank you, in advance, for responding to my call to save the little children of the world. Little ones, pray with all your strength and hearts for the many people who suffer from abuse. If people cannot love and respect their children, family members and own spouses, how can they respect any aspect of life, their neighbors and other people of different cultures? If respect for life and love of family members is neglected, it is not possible to love or respect anyone. This presents a threat to your very existence. If people cannot preserve the dignity of life, then life will cease to exist. 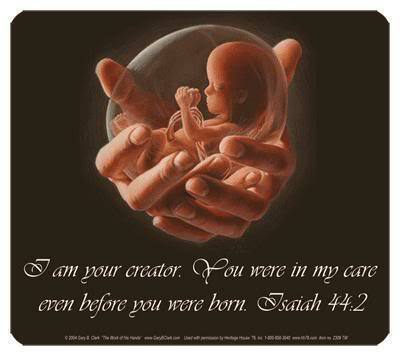 God will not allow this destruction of life to continue, life which He created. My Son gave His Life to save you and all of mankind. Unless prayer, penance and fasting are done in reparation for the many outrages against His Most Sacred Heart, this world will suffer tremendously from its lack of gratitude, its pompous righteousness and lack of mercy. People, who are not interested in hearing the words of Mercy and Love now, will crave to hear them later; but will not, because it will be too late. Pray, little children, and please heed my request. The hour glass is no longer half full. God will not allow His children to suffer much longer at the hands of them. My Son is returning, and His angels will soon be released to gather His faithful to safety and destroy evil so that Peace will reign once again. I bless you, little children, in the Name of Jesus, your only Savior. I thank Him for allowing me to be here with you in this special way. Little ones, there are so many children in the world today who are unloved, so many who are threatened with abuse, and so many precious souls who fear for their very lives. Pray for all the little children of the world. Pray for the women who weep like Rachel from the loss of life. This is a time when the Joy of your Savior should be alive in your heart, a time where you await His coming with anticipation and excitement. He has lived your sorrow, and He will heal you with His Love. There is a “little” child in each one of you, a child who needs to be healed and loved. Jesus will renew the face of this earth. Turn to Him with psalms of joy and songs of love. Even if all should forget you, He will never forget you or abandon you. There would be no reason for children to be unloved, threatened or fearful, if people would allow Jesus to heal them with His Love. If people would take the time to pray to God and admit their weakness and dependence on God, He would help them. But because of their stubbornness, God leaves them to their own designs. You can pray for these people in the world. You can lift them up to the Child Jesus and implore His merciful assistance. Jesus will come, and through His Mercy and Love renew the face of the earth. I bless you, little children, in His Name and take your petitions to the Father. Pray and love the children, little ones. Pray and love the children.